It’s Beginning to Look a Lot Like Xmas…. As that festive song goes, “Candy canes and silver lanes that glow” but no doubt, many men around the world will be using the festive period to pop down on one knee and say them magic 4 words (don’t worry fella’s, its a leap year next year, so its the girls turn!) And once the dust has settled on them unopened xmas presents its time to start the wedding planning. Venues, the dress, centre pieces, flowers, rings and not forgetting that all impact wow factor from Elite Sound. 2016 is already shaping to be busier than 2015 for the team and we have some BIG NEWS coming at the turn of the new year as we prepare our new product launch, and in typical Elite Sound fashion its WOW, impact and unique! Keep your eyes peeled on our website, Facebook and Twitter pages for select offers on a variety of products. Don’t forget Elite Sound is the only company that offers a one stop shop for LED and Black & White Dance Floors, Light up Letters, DJ & Disco, Backdrops, Mood Lighting, Vintage Cinema Sign’s and much more. 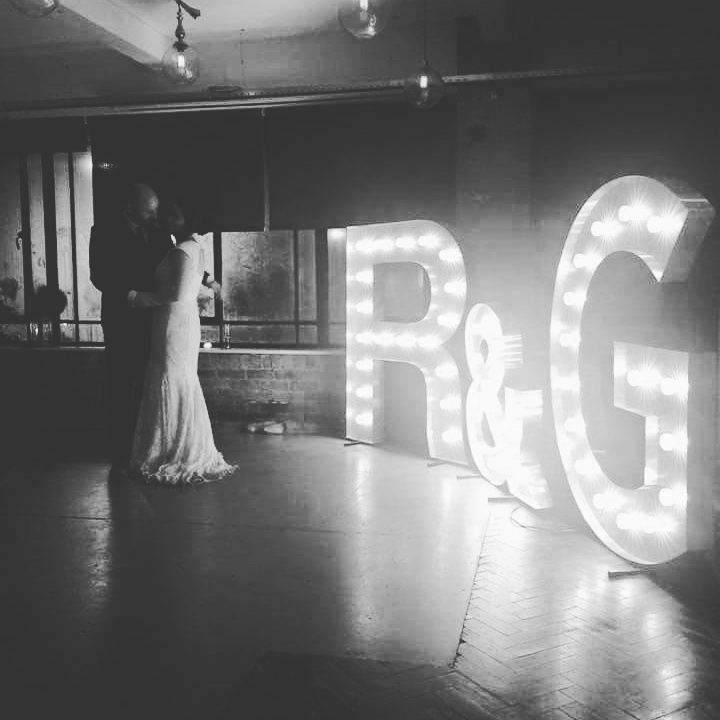 Finally, we will leave you with a wonderful image sent to us from the new Mr & Mrs Thompson who tied the knot at the newly discovered and unique Leeds city centre setting of “Lamberts Yard”. Congratulations to you both!